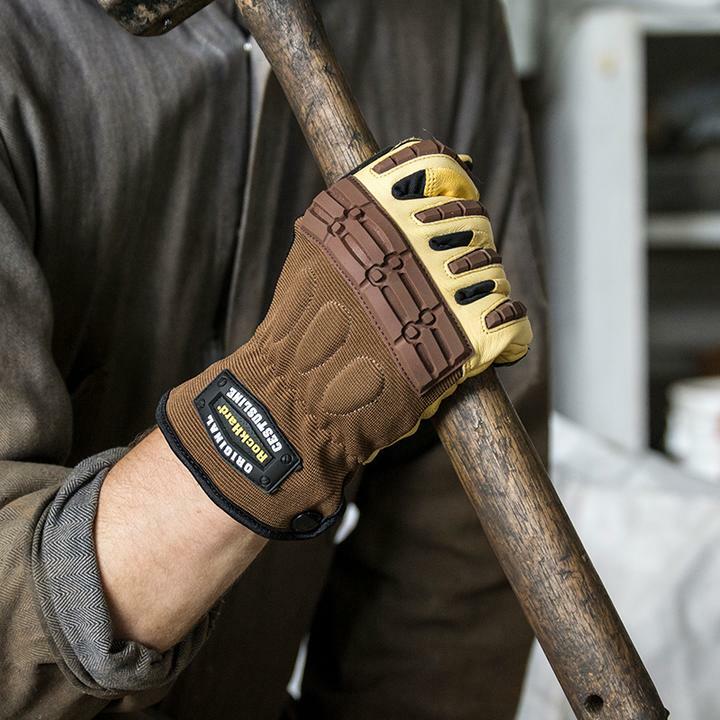 The RockHard® Original has a one-piece, goat-skin leather palm that is dual layered and reinforced with double stitching for durability. Padding in high-impact areas of the palm give the user added protection, while the coarse Zip Grip™ saddle adds grip control and reinforces a high-wear area. 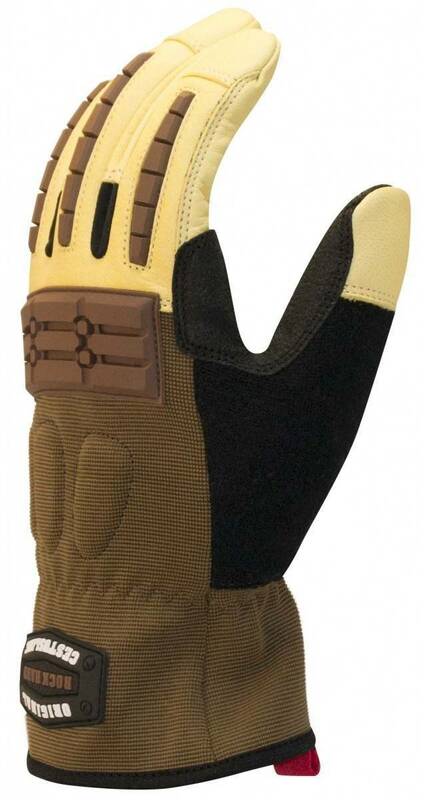 Thermoplastic Rubber (TPR) shields cover the knuckles and back of fingers for protection from impacts, scrapes and lacerations, along with the metacarpal padding. Back-of-hand, form-fitting spandex adds breathability to the glove, while the terry cloth backing on the thumb absorbs moisture and is perfect for wiping brow. 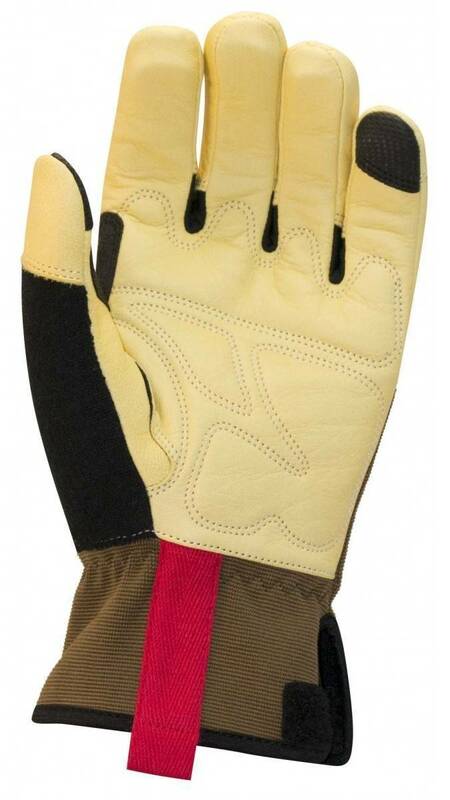 Dual-layer, Padded Goat-Skin Leather Palm: Gives user significantly high dexterity through goat-skin leather, which is more resilient than other leathers. Washable Leather: Keep gloves clean by hand washing then hanging to dry in non-direct sunlight, and extends the life of the glove. 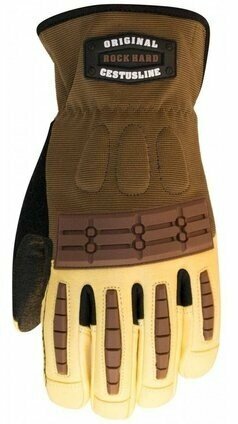 Touch-Screen Surface on Little Finger: Allows user to use touch-screen devices while wearing the RockHard Original glove. Flexible TPR Shields: Adds impact resistance and protection from scrapes and lacerations for back of fingers, thumb, and knuckles. Elasticized, Adjustable Rancher Cuff: Adds protection, comfort and "tear-away" ability if hand is caught in a pinch, while ensuring a snug fit and keeping debris out of the glove.